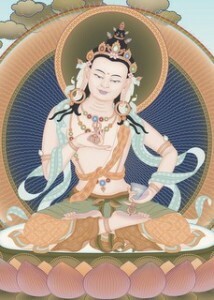 One of the most powerful purification practices is meditation and recitation of Vajrasattva, the Buddha of purification. On this retreat, Kelsang Dema will guide us through the practise of Vajrasattva and explain how we can remove negativities and obstacles from our mind. This retreat is a perfect follow-up to receiving Vajrasattva empowerment, but we can still engage in the retreat without having the empowerment. Meditation courses in Lancaster & Vajrasattva Retreat - Lancaster.